Walk, run, and play again! Best Friend Mobility can help your pets regain the ability to move around and enjoy a happy, healthy, and active life. Our wheelchairs are designed for dogs with rear-leg disabilities and once they’re on them, they can begin the journey to a new life. Best Friend Mobility wheelchairs are lightweight and durable; we ship them out to you as quickly as possible and they come with an easy assembly manual. The way we see it, the sooner your pet is on them, the sooner they can enjoy exploring their new mobility aid and start moving about. 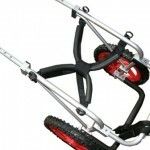 Choosing dog wheelchairs from Best Friend Mobility is simple. 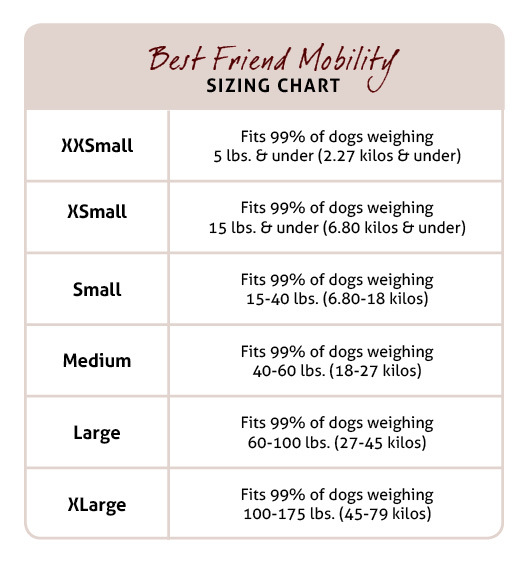 We designed our dog wheelchairs—or dog carts, to some—to work through weight classification to make selection easier for you, and through maximized adjustability to make comfort easier for your pet. Best Friend Mobility wheelchair harnesses are designed to let our pets go to the bathroom easily. 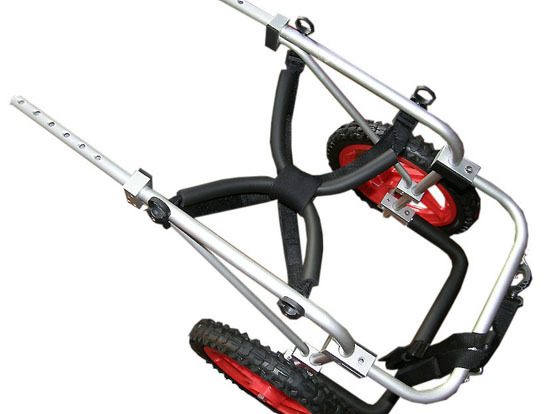 Also, our carts have a maximum width of 24” for easy clearance of standard doorways. 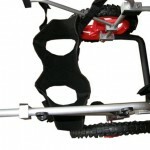 We also carry a line of accessories to complement or replace any of our dog wheelchair products. Designed for dogs that love to stay active, our sports harness gives an improved range of motion and is great for swimming and running, plus it makes going to the bathroom as cinch. Our large and extra-large dog carts come with our EVO neoprene harness. The soft material is flat-stitched for optimum comfort and durability. Great for dogs with sensitive skin and who spend lots of time in their wheelchairs. Help your pet up with Best Friend Mobility’s Rear Support Harness. 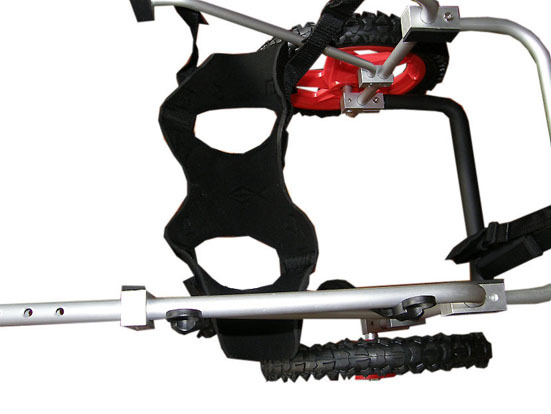 This harness is designed to help you support your pets suffering from rear limb weakness. 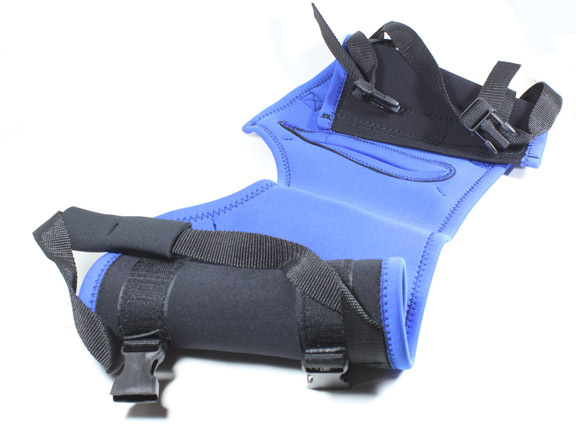 Using soft and pliable neoprene for comfort, this harness features leg holes and a wrap-around band with Velcro and side release buckles for a secure fit. Not only that, we created it with pet-owners in mind as well. This hand-held Rear Support Harness will allow you to support your pet’s weight while preventing back pain from lifting them improperly.